Young musical theater actors from 6 to 12 years of age are invited to spend five days studying dance, voice, acting, and improvisation with an accomplished music, theater and dance faculty led by Peter Boynton. Michael Halloran will lead the vocal training portion of the program and Taryn Noelle will join us again as our dance instructor and choreographer! The camp session will culminate in a musical theater piece performed for friends and families! Tuition is $250 per student. The session is limited to 25 students. Camp Hours: Monday to Friday from 9am to 1pm. Click Here to Register For the JUNE Camp! Any medical or social challenges we should know about? To complete the registration you MUST make one of the following: 1- a 50% deposit by check made out to: THE COMMONS GROUP. 2-a 50% deposit using STRIPE on our Tickets/Payments page. Thank you for registering your child in our camp! If you are paying by debit/credit card, please proceed to our Tickets-Payments page found on our web site's menu bar. How do you control the allergies, asthma, seizures, or heart trouble? Are there any social, emotional, or health conditions that we should be aware of? In the event that my child, (named above), is injured or needs medical help I understand that hospital personnel will attempt to contact me before administering treatment to my child. If I cannot be reached, I hereby give permission fo the person named below to be called for authorization. Does this medication need to be taken during program time? I authorize the VT Musical Theater Camp staff to obtain emergency medical care for my child from a hospital or physician at my expense. I understand I will be notified first if at all possible. Release: I hereby give permission for my son/daughter to participate in the Vermont Musical Theater Camp. I assume all risks and hazards, indemnify, and agree to hold harmless Vermont Musical Theater Camps, their employees, organizers, volunteers, and participants for any claim arising out of an injury to my child. A veteran of Broadway musicals, daytime television and film, Peter has taught acting and directing classes in the central VT area for over a dozen years. He had a long association with both Burlington College and the dance and theater programs at Harwood Union School in South Duxbury. Peter has produced, directed and performed in the summer shows presented at The Skinner Barn since 2001 with the goal of bringing quality, professional summer theater to the audiences of central VT. Peter considers his on-going renovation of The Skinner Barn, started in 1994, to be one of his finest productions! Taryn is a dance teacher by day, and a jazz vocalist by night. She currently resides in Stowe, and can be found choreographing musicals and teaching throughout the state in addition to acting in films and on the stage. You can follow her pursuits on her website: www.tarynnoelle.com. Taryn played the role of Dominique de Monaco to great aclaim in The Commons Group 2010 production of Lucky Stiff at The Skinner Barn. She has recently entered the Front of House world, as the new House Manager for the Spruce Peak Performing Arts Center, in Stowe. www.sprucepeakarts.org. 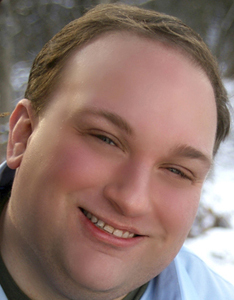 Michael is a local musical theatre professional based in Montpelier. Originally from the midwest, he received his BA in Theatre Arts from the University of Minnesota and his MA in Directing and Theatre Education from the University of New Mexico. Audiences across Vermont have seen him both onstage (including 2010’s Lucky Stiff at The Skinner Barn) and in the orchestra as music director for numerous high school and community theatre productions. Michael teaches piano and voice, and has taught musical theatre singing at Monteverdi Music School, Johnson State College, and Flynn Arts.